Whether you are anticipating the joys of adoption or experiencing the frustrations of marital conflict, Hui Ling Dong, Attorney at Law can help. 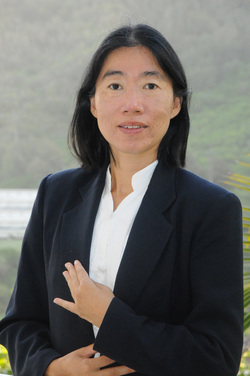 I, Hui Lin Dong, serve families in Honolulu for 12 years. I provide legal services in a wide spectrum of areas: Adoption Alimony Child custody and visitation Child support Child support modification Divorce Mediation Prenuptial agreements Adoption I assist families with all aspects of international and domestic adoptions. I handle the legalities of your adoption so you can concentrate on your new family. Alimony Divorce should not lead to a financial crisis. I help you establish an equitable amount of spousal support. Child custody and visitation Divorce attorney Hui Lin Dong protects your parental rights to raise your children in a fit and supportive home. Child support I can ensure you receive or pay an equitable amount of the financial support required to raise your children in a healthy, happy home. Child support modification and enforcement Child support payments remain the same unless and until the court modifies the child support order. If either the custodial or non-custodial parent experiences a significant change in circumstances, we can guide you through the proper legal procedures to modify child support payments accordingly. Divorce Through mediation or litigation, our divorce law firm can help you gain equitable results from your divorce, including fair distribution of assets, division of marital home, child support payments and child custody rights. Please click on the Divorce link for more information. Mediation Mediation puts the decisions in your hands and can often provide more expedient, predictable results than trial. As a skilled negotiator, I can help you obtain the most equitable divorce settlement. Prenuptial agreements Hui Lin Dong, Attorney at Law expects the unexpected and drafts premarital agreements that protect both spouses' interests. A prenuptial agreement can alleviate some of the stress should you ever divorce. Contact a dedicated Honolulu family law attorney To schedule a free initial consultation with Hui Lin Dong, Attorney at Law, call (808) 528-5650 or contact me online.